We are so glad to announce that we are main sponsor of AC 2018! All details can be viewed here, you can also check the location and date. If you are coming then, the Accommodation Information may be helpful! The special offers are incredible, booking deadline is 7/15, please take chances! We will hold a small cube shop in the venue of Asian Championship 2018! Get ready to buy any speed cubes in physical store by MARUCUBE. New Maru Lube is coming up! After the big success of Maru Lube and Core Lube, We finally developed a brand new formula of lubricant which can enhance both of the Maru Lubes, called LOOBII V.
Come and see what's the main features! We make and sell cubes, FOR FUN. The chairman of MARU, Louis, is one of the most cubing-fever cubers in Taiwan. After some success of product promoting, we started to organize small and big competitions just because there were very few events in Taiwan then. Our suggestion, looking for fun, it should be the first priority ever. Buy your MARU Lubes here! Click here to buy the most famous cube lubricants in the world! You can also make bulk orders including world wide shipping! 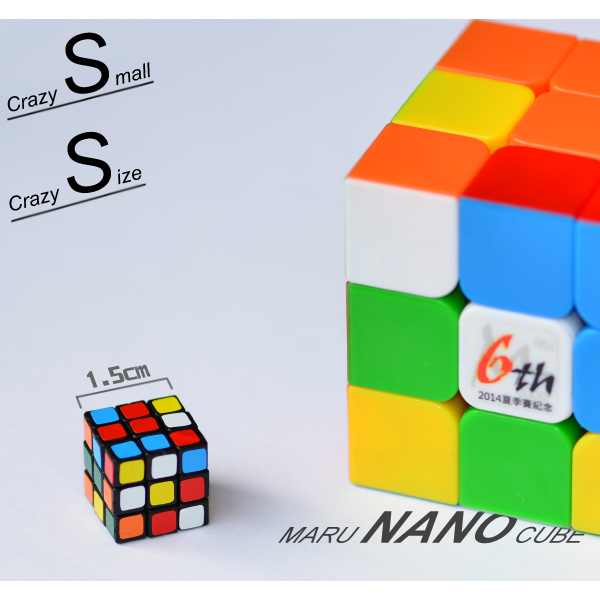 We began selling MARU brand cubes in May, 2008 and became the most popular cube brand in Taiwan . Our products are all designed for speedcubing. As a producer, we develop cubes for quality improvement, now we not just make cubes, stickers, and cube lubricants as well. We also sponsor events including WCA competitions in Taiwan. Our main purpose is to promote speedcubing to everyone, everywhere.